The Flint Water Crisis Class Action: Will This Be the End of a Disheartening Story? Over the past few months, Flint has gone from a relatively unknown city in Michigan to the subject of national news. Most of the articles discussing Flint read like fictitious tales—pitting villainous government officials against disenfranchised citizens who want nothing more than a safe water supply. Perhaps this sounds like a fantasy, but for Flint residents, it might not be far from the truth. When their water supply became a source of serious health issues, residents’ concerns fell on deaf ears as state and local government officials repeatedly downplayed, or ignored, the water crisis. However, on November 13, 2015, Flint residents forced these officials to listen when they filed a complaint containing two counts of constitutional infringement. Upon reading the complaint, it becomes clear whom the plaintiffs consider the most culpable figures. In particular, the plaintiffs frequently implicate Darnell Earley and Gerald Ambrose, the Emergency Managers in control of Flint’s finances during the water crisis. Often, it is the mayor and city council that determines a city’s water supply. However, Flint’s story diverged from this generality due to a financial crisis in 2011. At that time, Governor Snyder appointed Darnell Earley as Flint’s Emergency Manager. As Emergency Manager, it became Earley’s responsibility to assuage the city’s financial crisis. One way that Earley sought to achieve this goal: find a cheaper water supply for Flint’s residents. Before economic concerns incentivized the Flint City Council to approve a deal with Karengodi Water Authority (KWA) in March 2013, the City of Flint had obtained its water from the Detroit Water and Sewerage Department (DWSD) for almost 50 years. The deal required that KWA build a pipeline from Lake Huron to Flint in return for Flint’s business as a consumer. The problem: Flint’s contract with DWSD ended in April 2014, but the KWA pipeline wouldn’t be finished until early 2016. Instead of creating a short-term contract with DWSD for the interim before the pipeline’s completion, Earley, who was appointed Emergency Manager in November 2013, opted to utilize Flint River water as the City’s main supply. When Earley made this decision, Flint government officials already had knowledge that the Flint River water required an anti-corrosion treatment to prevent lead and other heavy metals from leaching out of metal-based pipelines and into the water supply. However, Earley approved the plan to use Flint River water without anti-corrosion treatment, ignoring the fact that many service pipes were made from lead. On April 25, 2014, corrosive water from the Flint River began flowing through lead pipes to local homes and schools. Almost immediately after the switch, many residents noticed that their tap water was brown, cloudy, and fetid. Residents also began to experience adverse health effects, such as hair loss and skin lesions. In the coming months, more health concerns arose, including neurological and psychological disorders. Although Governor Snyder publicly assured residents that the water was safe, he quietly removed Earley as Emergency Manager in January 2015 and immediately replaced him with Ambrose. By April, as the water crisis continued, the Governor announced an end to Flint’s financial crisis, meaning an end to the Emergency Manager position. Clearly, Governor Snyder’s reassurances about Flint’s economy and water came too soon. During the summer of 2015, Professor Edwards and other scientists from Virginia Tech decided to work with interest groups that had become aware of the water crisis. Professor Edwards and his team tested water samples from the Flint River water, concluding that the water contained unsafe levels of lead and was significantly more corrosive than that of DWSD. Then, in August, Dr. Mona Hanna-Attisha, a pediatrician at the Hurley Medical Center in Flint, published her research findings: a significant increase in blood lead levels among “a large cohort” of Flint children. The spike correlated in time with the switch to Flint River water. Once again, Governor Snyder assured residents that the water was safe. Two months after Dr. Hanna-Attisha published her findings, the Genesee County Health Officials was forced to address the outcry from the scientific community, interest groups, and residents; the County declared a public health emergency and Flint residents were advised not to drink tap water. Within the same month, Governor Snyder put Flint back on the DWSD water system. However, the Governor’s decision did not stop several Flint residents from filing a class action with the Eastern District of Michigan in November. The plaintiff representatives brought the action on behalf of themselves and other Flint residents who suffered either property damage or personal injury due to their exposure to Flint River water. The defendants included: Michigan Governor Rick Snyder, the State of Michigan, seven officials from the Michigan Department of Environmental Safety, both Emergency Managers, the City of Flint, and several local officials. In two counts against the defendants, the plaintiffs claimed that government agencies and officials continuously disregarded Flint residents’ health concerns, deliberately ignored the proper procedures for cleaning water and testing its quality, and assured residents that the water was safe when they had evidence showing otherwise. Although media attention has focused primarily on an obvious and rightful target—Governor Snyder—it is clear from the class action that the plaintiffs hold the Emergency Managers of Flint equally, if not more, responsible for the crisis. The plaintiffs claim that from the moment Flint River water became the interim water source, Earley, and then his successor Ambrose, neglected to listen to residents’ concerns. This lack of attention indicated that both emergency managers valued frugality more than the health of Flint’s residents. Although the plaintiffs do not explicitly address the questionable constitutionality of the Emergency Manager position in their complaint, it is the linchpin that allowed the Flint water crisis to unfold. For an Emergency Manager to work efficiently, he must take control away from elected officials. And for him to work effectively, he must retain final approval over all City Council decisions. This process puts power in the hands of one individual, who has less accountability to a city’s residents than the local elected officials do. And this process allowed both Earley and Ambrose to bypass government safeguards to cut costs, resulting in a health crisis publicized nationwide. Ultimately, the plaintiffs chose to frame the issue as one of constitutional significance: they claimed that the defendants infringed upon their right to due process of law and their implied right to bodily integrity. Both arguments are compelling, especially in light of recent developments in the Flint Water Crisis. In addition to the constitutional arguments brought forth in the class action, statutory violations are also being utilized as an avenue for relief. Days after filing the class action, one of the plaintiffs, Melissa Mays, joined with interest groups—including the ACLU of Michigan—to caution the same defendants of an intent to sue if the defendants did not begin to comply with the Safe Drinking Water Act within 60 days. Recent developments in the Flint Water Crisis have occurred which might affect the class action suit. In January 2016, President Obama declared a state of emergency in Flint and authorized the Federal Emergency Management Agency (FEMA) to provide federal aid to residents for up to 90 days in the amount of up to $5 million. This highly publicized development put pressure on Governor Snyder, who has now taken a critical stance against the EPA. The Governor released a significant volume of his email correspondence. The emails indicate that EPA officials knew of high lead levels in Flint water samples months before residents were warned or any action was taken. Although Governor Snyder may hope to place the blame on the EPA, his own actions, and those of his appointed Emergency Managers, have not gone unnoticed by the people of Flint. Unfortunately, the Flint Water Crisis is more than a fictitious story of villains and victims. It is a story that the citizens of Flint have been living for over two years now; a story of government officials making constitutionally questionable decisions that lead to harmful results. Of course, a lawsuit cannot fix all of the problems that Flint residents bear, but it may ease the burden by providing them with a voice. As the class action progresses, hopefully it will also provide residents with a sense of justice and an end to a painful chapter of their lives. –Aimee Ford is a General Member on MJEAL. She can be reached at aimford@umich.edu. Mays v. Snyder, No. 15 (E.D. Mich. filed Nov. 13, 2015). Julie Bosman and Monica Davey, “Anger in Michigan Over Appointing Emergency Managers”, The New York Times (Jan. 22, 2016), http://www.nytimes.com/2016/01/23/us/anger-in-michigan-over-appointing-emergency-managers.html. Letter from Darnell Earley, Emergency Manager, to Sue McCormick, Detroit Water & Sewer Dep’t (Mar. 7, 2014). Maximum Contaminant Level Goals and National Primary Drinking Water Regulations for Lead and Copper, 56 Fed. Reg. 26,460, 26,464 (June 7, 1991). The Associated Press, “A Timeline of the Water Crisis in Flint Michigan”, ABC News (Jan. 16, 2016), http://abcnews.go.com/Health/wireStory/timeline-water-crisis-flint-michigan-36331514. Sarah Ganim and Linh Tran, “How Tap Water Became Toxic in Flint, Michigan”, CNN (Jan. 13, 2016), http://www.cnn.com/2016/01/11/health/toxic-tap-water-flint-michigan/. Mays v. Snyder, No. 15, 10-15 (E.D. Mich. filed Nov. 13, 2015). Ron Fonger, “Gov. Snyder declares end to Flint’s financial emergency”, Michigan Live (Apr. 29, 2015), http://www.mlive.com/news/flint/index.ssf/2015/04/governor_declares_flints_finan.html. Ron Fonger, “Feds sending in experts to help Flint keep lead out of water”, Michigan Live (Sept. 10, 2015), http://www.mlive.com/news/flint/index.ssf/2015/09/university_researchers_dont_dr.html. Amanda Emery, “Flint reconnects to Detroit water, may take 3 weeks to clear all pipes”, Michigan Live, (Oct. 16, 2015), http://www.mlive.com/news/flint/index.ssf/2015/10/flint_reconnecting_to_detroit .html. Emergency Manager Order 20 ¶¶ 4.a.6, 4.a.7, supra note 53. Notice of Intent to Sue Under the Safe Drinking Water Act, 42 U.S.C. 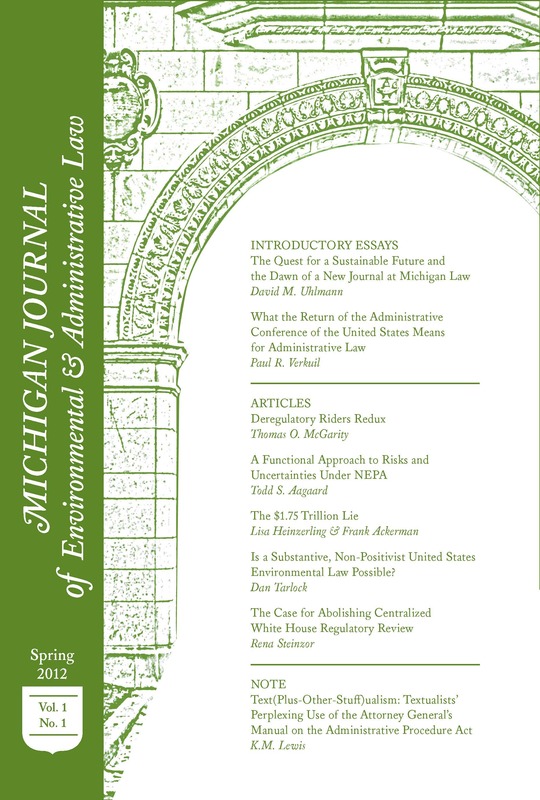 § 300j-8(b)(1)(a), for Failure to Control Lead in Drinking Water in Flint, Michigan, and Failure to Assist Michigan Schools with Lead Testing and Remediation 5 (Nov. 16, 2016) (citing Maximum Contaminant Level Goals and National Primary Drinking Water Regulations for Lead and Copper, 56 Fed. Reg. 26,460, 26, 464 (June 7, 1991)). Ashley Southall, “State of Emergency Declared Over Man-Made Water Disaster in Michigan City”, The New York Times (Jan. 17, 2016), http://www.nytimes.com/2016/01/18/us/obama-flint-michigan-water-fema-emergency-disaster.html. Julie Bosman, Monica Davey, and Mitch Smith, “As Water Problems Grew, Officials Belittled Complaints from Flint”, The New York Times (Jan. 20, 2016), http://www.nytimes.com/2016/01/21/us/flint-michigan-lead-water-crisis.html. Mark Berman, “EPA issues emergency order over Flint water crisis, administrator who oversees Michigan resigns”, The Washington Post (Jan. 21, 2016), https://www.washingtonpost.com/news/post-nation/wp/2016/01/21/michigan-authorities-debated-responsibility-for-flint-water-crisis-emails-show/.